Decided to move signature fundraiser – Taste of the Town from Downtown Fort Myers to JetBlue park next year! 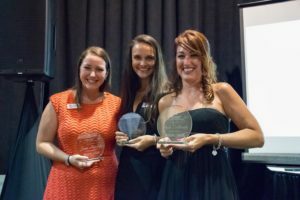 Beth Ramsay was recognized by the Eckerd Corporation in their fourth annual Salute to Women Program for her outstanding community volunteer efforts. “Eckerd 100” Awarded to our WRC’s Community V.P. Award from Special Equestrians Horses & Handicapped, Inc.